The body of late Rev Fr. 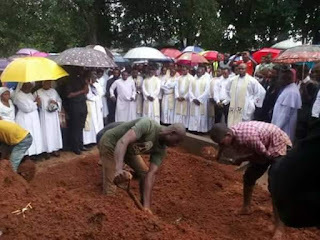 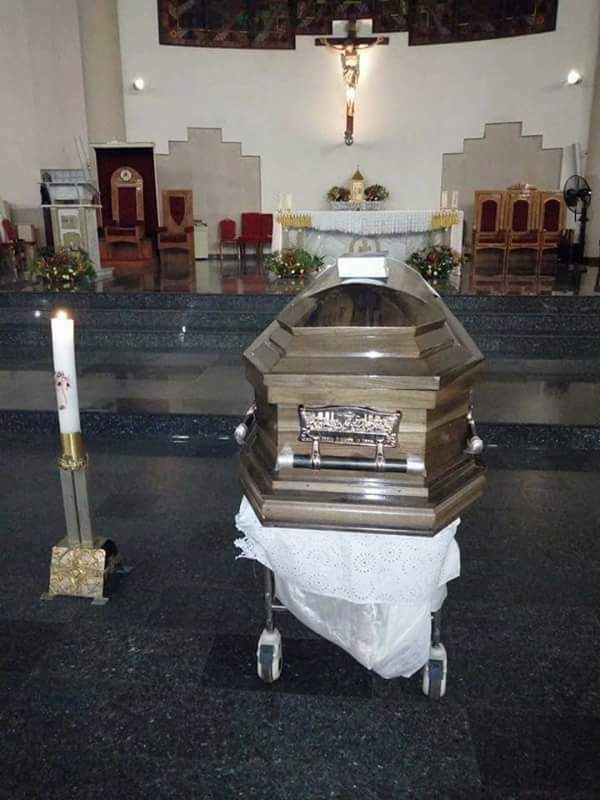 Michael Akawu of the Abuja Archdiocese, who was murdered in cold blood last Saturday by gunmen has been laid to rest after a solemn mass. 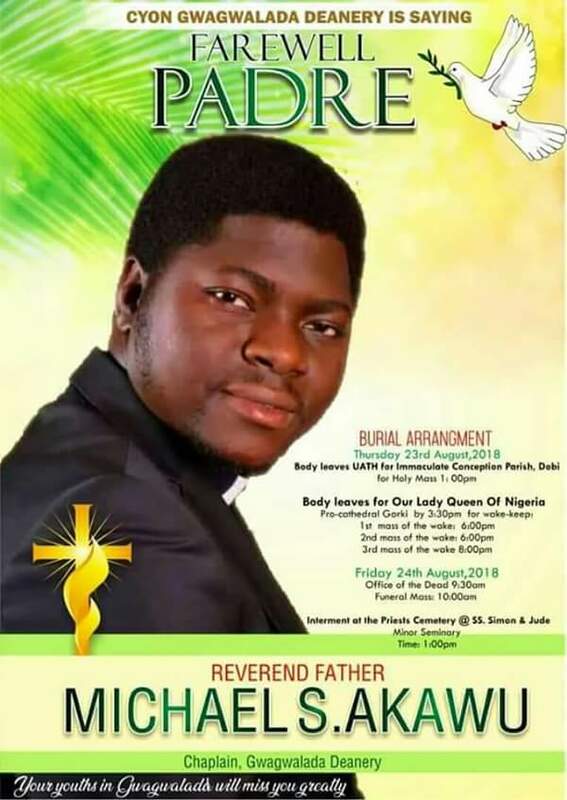 Recall that he was shot dead by armed robbers at a supermarket in Abuja. 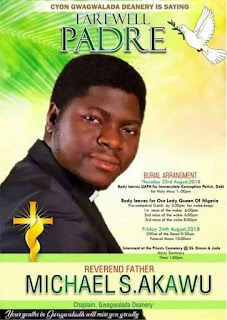 We pray that the good Lord whom he served on earth grant him a happy repose.